UK Boy band The Wanted have premiered the video for the follow up single to Glad You Came from their yet-untitled upcoming album. The track is the up tempo hit Lightning, that see’s the boys with a few more clothes than we like or are used to, dancing around at a festival/BMX rally! 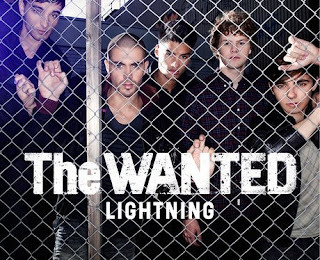 We wonder what they could possibly mean by *ahem* "playing with lightning"
The boys are only just making an attack on the Australian charts, however doing well in the U.S and back home in blighty! Check out the video below, buy their tracks on iTunes or to see naked pictures of the boys click here!